SAP Cost Center Accounting (CCA) is designed to do Controlling activities in an Organization. It is must to have transparency in costing related activities in any organization. You can perform Cost Center Accounting related profitability analysis of each functional area and helps all cost to be assigned to source. With CCA you can easily define the various types of responsibility areas like Cost Centers, Profit Centers, and Investment Centers. 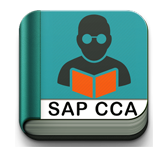 SAP CCA tutorial has been prepared for the professionals who has a basic knowledge of controlling activities in an organization. Once you complete learn this tutorial, you will find yourself at a moderate level of expertise in maintaining SAP Cost Center Accounting and Controlling advance functions. You should have basic understanding of basic Controlling and Accounting concepts. If you have sound knowledge of Cost Center Management activities you can easily learn SAP FICO tutorial.